When you create a Word document, there are a number of things to consider. After making sure you don’t have any typos or grammatical errors, you should check to see how easy it is to read and understand. One standard in this area is the Flesch Reading Ease and Flesch-Kincaid Readability Score. Microsoft can provide these statistics for you automatically. For this particular document, this document should be readable by a typical 9th grader. 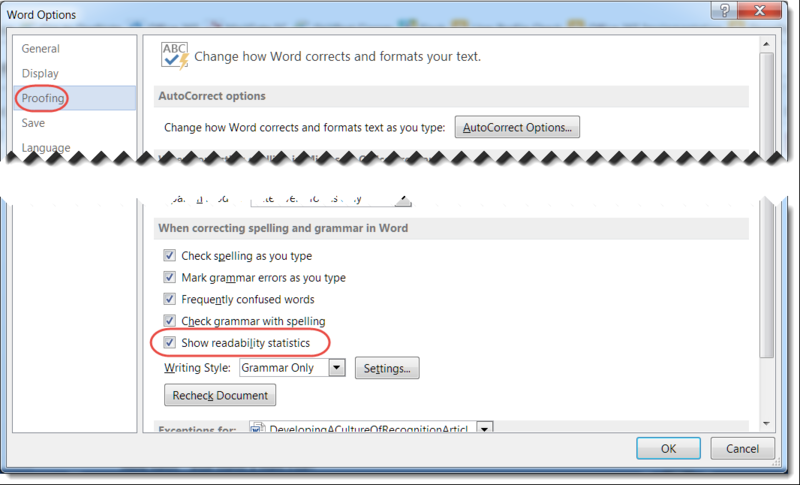 If you want more details about the readability scores, you can look at Microsoft’s explanation.